MSPmentor and Maxta discuss how MSPs can deliver public cloud economics with hyperconvergence software. Their CTO discusses why they replaced traditional storage and chose hyperconvergence software over appliances. Analyst George Crump of Storage Switzerland compares hardware and software-based approaches to hyperconvergence. ActualTech discusses how hyperconvergence software can free you from hypervisor and hardware lock-in. Trusource Labs discusses its journey from traditional storage to hyperconverged appliances to software. 451 Research discusses the state of hyperconvergence and how it’s replacing traditional infrastructure. Learn how to evaluate software-based and appliance-based hyperconvergence with ActualTech analysts. Customer panel with TruSource Labs and Driscoll’s on journey from storage to hyperconverged appliances to software. Learn about how hyperconvergence can improve the IT lifecycle problem. Learn about the Maxta and Lenovo hyperconverged solution with partner SYNNEX. 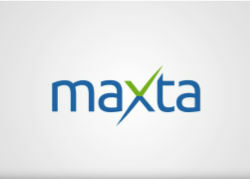 A webinar with Howard Marks on how Maxta beats vSAN snapshots in both performance and capacity efficiency. Larry Chapman from Trusource Labs describes his journey from traditional storage to hyperconvergence software and why Trusource Labs chose Maxta.